I haven’t written much about hurricanes on here because there hasn’t been much activity near me. 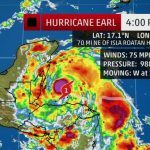 There’s currently a hurricane in the Gulf of Mexico that is expected to make landfall over Belize and the Yucatan peninsula tomorrow. 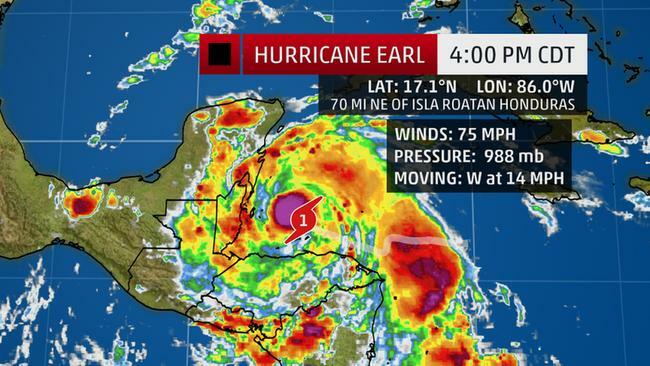 Earl isn’t expected to affect the US. Perhaps the best reason we haven’t had any storms is because of high pressure “bubbles” sitting over Texas and surrounding states. It’s believed that El Nino is the cause: shifting the jet stream far north and allowing high pressure fronts to stay put over the southwest US. This entry was posted in Nature and tagged hurricanes, storms, weather by Chris Siems. Bookmark the permalink.